All owners are encouraged to obtain SVLA pet tags. All information about the pet will be entered into the SVLA PSD Dog Tag Database at the Association Office. Pet tags are free of cost and can be obtained at the Association Office or the Public Safety Department. These tags aid the Association in locating the owner in the event that an animal is located outside of the owner’s property. 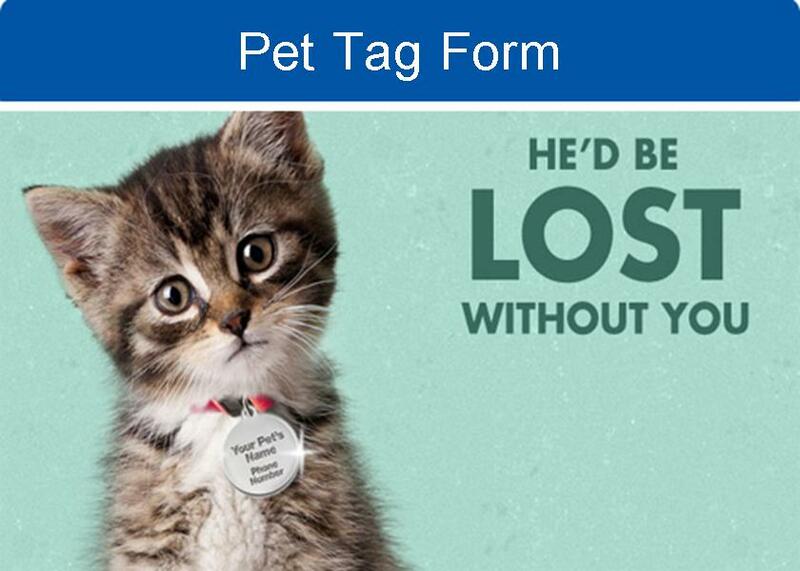 Download a copy of the pet tag form below, fill out and return to the Association or Public Safety Office and receive a free tag for each pet.